Type your support request into the box and click the magnifying class or hit 'Enter'. At the next stage the pop-up will show any support articles that might match the entered query. Hopefully one of these support articles can answer your question right away. Clicking the relevant article will load it within the pop-up box. The knowledge base has articles covering more general topics, but also covers the specifics of a product. We would always recommend reading the relevant articles in the knowledge base as a first port of call if you ever get stuck. These are the same articles displayed within the support widget and can be viewed within the widget, or via the separate knowledge base webpage. 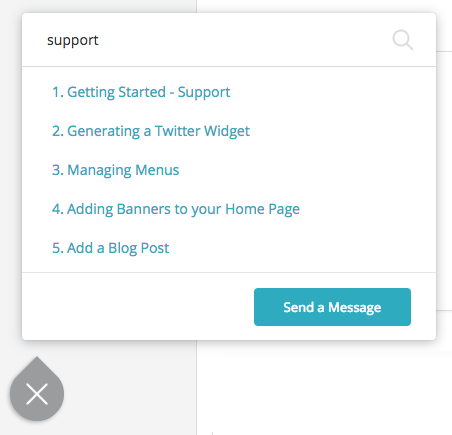 You can access the knowledge base easily from the software by clicking the "Support" menu in the top right corner.